Always have the proper tag for a machine in disrepair. 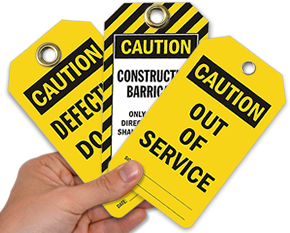 This convenient tag set lets you tag your inoperable machinery to prevent unsafe use and injury. • This bright yellow 'Do Not Operate' set includes 25 yellow tags and 25 heavy-duty nylon ties for a complete tag set. 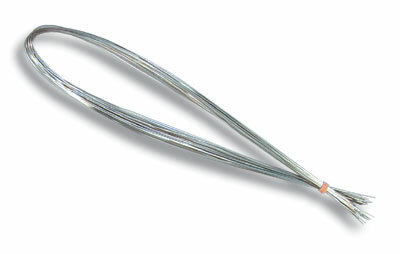 Try tough wire tag loops for more harsh environments. 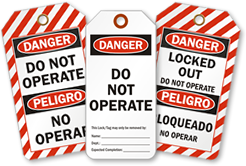 • Two-sided Safety Lockout tags provide a vital message that can be attached almost anywhere. Correct order and fast service.